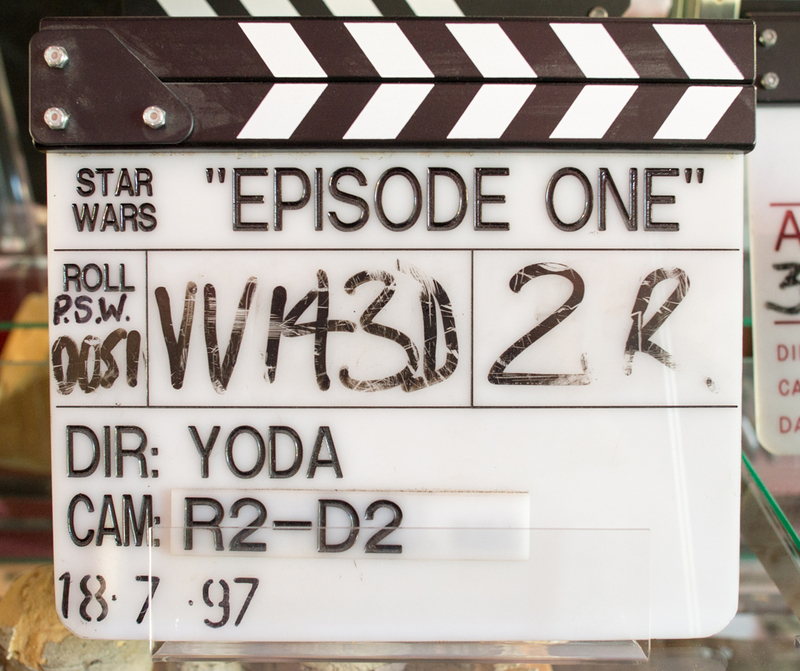 An example of a clapperboard used in the production of Star Wars Episode I: The Phantom Menace. The surface of the board is a dry erase whiteboard style used in the mid 80's to the present, although digital clapboards are more commonly used in recent years. The director is listed as "Yoda" instead of Lucas, and a plastic plate was placed over the cinematographer's name to label it R2-D2. Some of the lettering is etched into the slate while other parts are in marker. The piece on top is a standard Don Earl clapper, although not the original used for E1.